← Challenge: What Did I Build from ONE 2×4? 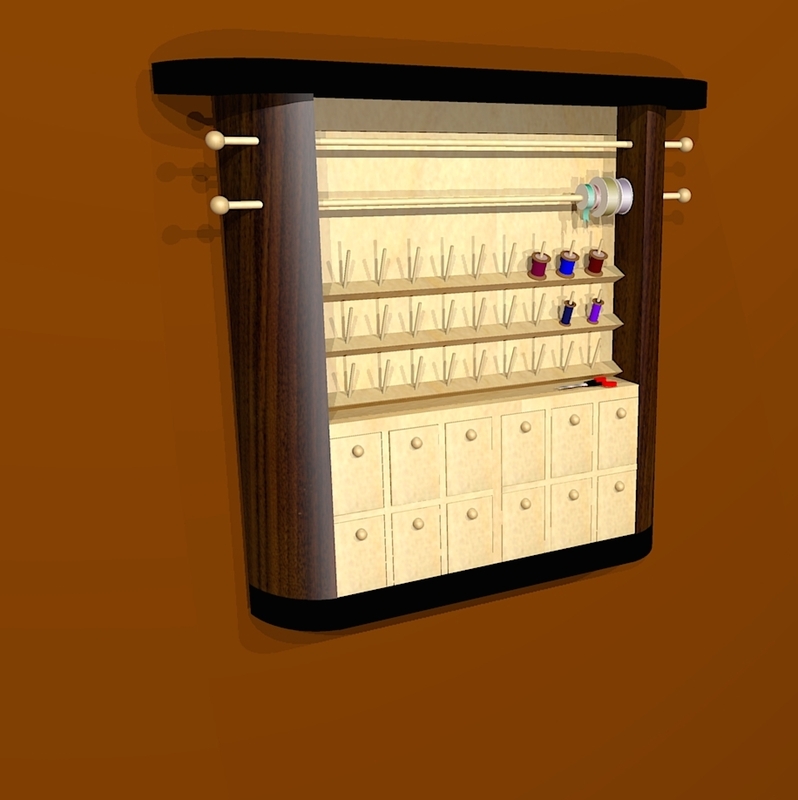 This wall hanging, open face cabinet is for the stylish seamstress. Maple and Walnut. 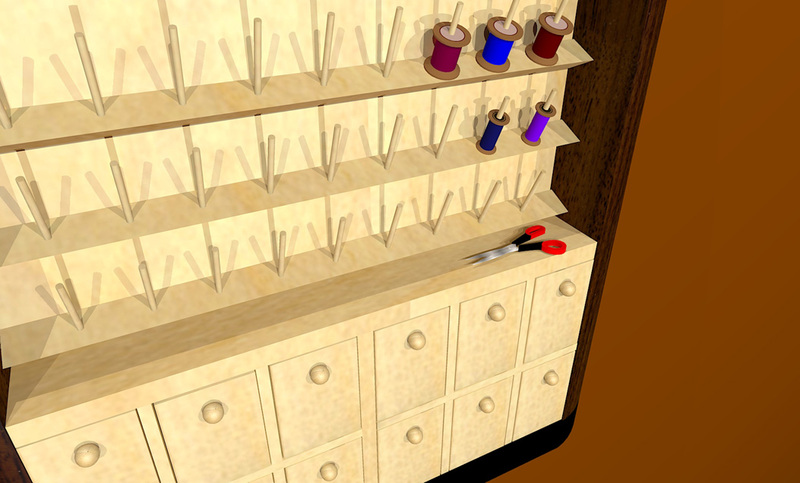 Plenty of room for spools of thread, ribbons, and pull out boxes for notions. About 3′ tall by 2′ 10″ wide.